This Pokémon heals 20 damage from itself each turn. 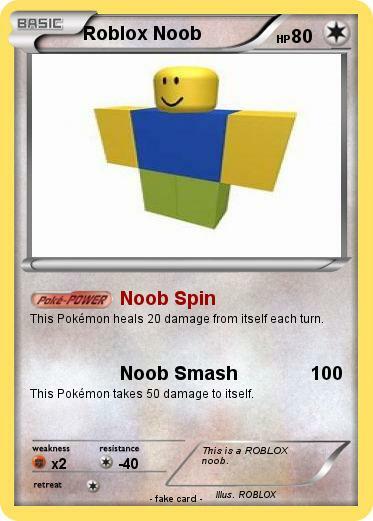 This Pokémon takes 50 damage to itself. Comments : This is a ROBLOX noob.